Hip, colorful and fun are adjectives that could be used to describe hot designer brand, Alice + Olivia's Fall 2010 collection. Instead, I'm referring to the label's even hotter collaboration with MAC. 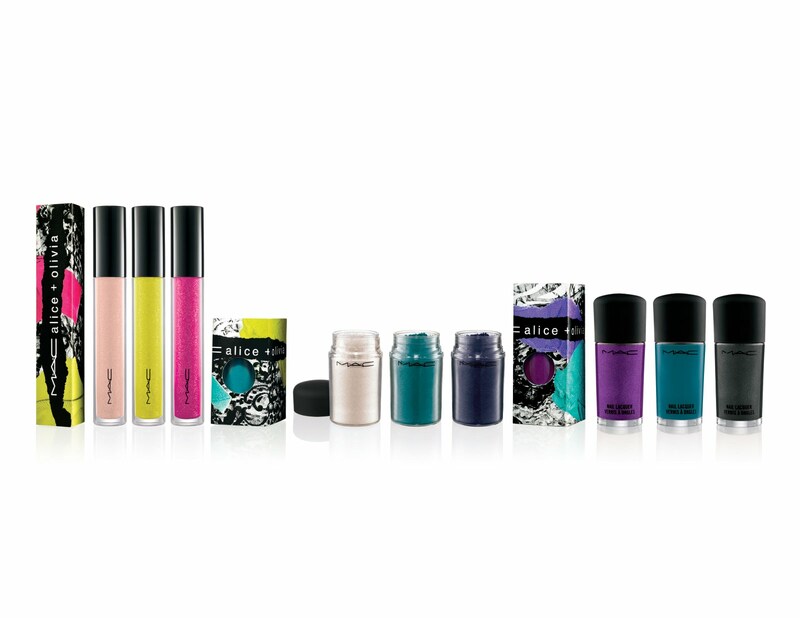 The collection, which launched July 8th, features limited edition pigment, nail lacquers and lip glosses. Founder Stacey Bendet created a collection (inspired by the label's bright fall 2010 mood board) even trendier and whimsical than her own colorful frothy confections. Plus the packing of the products (also a reflection of the brand's mood boards) is edgy and totally fabulous. You literally want to keep each pigment package out on display for everyone to see. Paints and pigments in jewel-tones hues add the perfect zest to your summer to fall wardrobe transition. I've been dying to experiment with MAC's pigments (makeup guru's constantly rave about their deep, smokey-eye effects) and this collection is inspiring enough to test the drama-educing waters. I can easily see myself wearing sparkly fun makeup for a night out using their Pigment in Later (a deep black with purple undertone), Dazzleglass Creme in If It Sparkles (a shimmery pink gloss) and Nail Lacquer in Morning.After (a creamy turquoise). I'm not sure how much the neon yellow shade, I.Want.Candy will compliment my lips and skin tone so I'll leave that to the more adventurous types. What do you think of Alice + Olivia's fab collaboration with M.A.C.!? The nail lacquers are pretty gorgeous. The shades are edgy, wearable, and absolutely perf. for summer. I imagine die-hard polish princesses like Ms. Katy Perry will want to indulge in these pop-art hues. The hip colors scream celebrity nails and I have no doubt in my mind, our favorite artfully-decorated pop stars will be rocking at least one of these glamorous bottles on her hand.